Prime Cohasset Village Location! 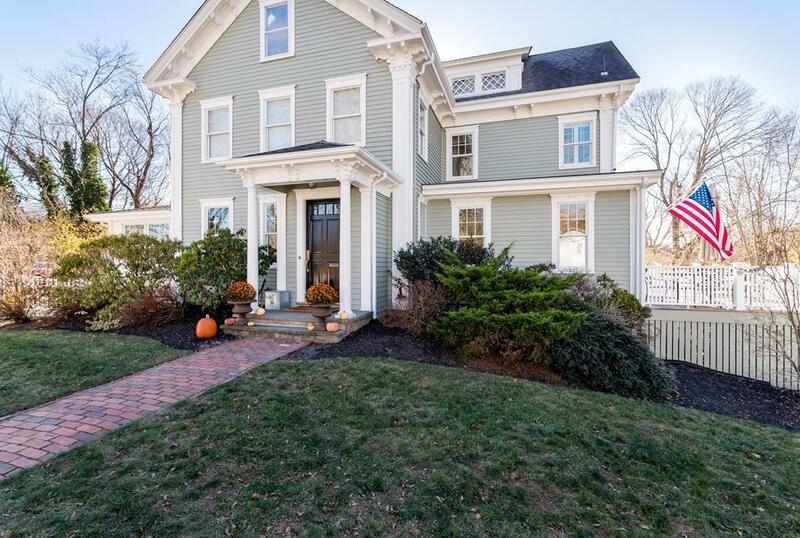 Sitting on Jerusalem Road, this classic Victorian with Greek Revival is just steps to downtown Cohasset, schools, Little Harbor and Sandy Beach. The exterior of this home has been meticulously maintained with an expansive backyard surrounded by beautiful stonework and patios and custom built outdoor shower. Hardwood floors throughout, gourmet kitchen, high ceilings and beautiful craftsmanship including wainscoting, moldings and built-ins. The lower level is a perfect space for guests, an au-pair or simply additional living area, including a bonus room and full bathroom with its own entrance. 2nd floor offers 3 bedrooms with two updated bathrooms, and the 3rd floor has 2 additional guest bedrooms and a large bonus room.